Rum and Coke history, recipes, variations. Plus, Moxie cocktails and PDT’s Cinema Highball. How to improve upon the classic mediocre Caribbean-American highball. Where did the Cuba Libre come from? Aha! Here’s a notion. How about I take a recipe from the Esquire Drink Book (1956), fancy it up a bit, and name the drink after the recently deceased author of a 1998 novel about the Spanish-American War? Cut the tiny little key lime in half. If you’re feeling fussy, pick out the seeds and discard them. With a garlic press or your dainty fingers, squeeze the juice of the lime into a chilled tall glass. Go ahead and toss the shells of the squeezed lime halves in the glass—it’s festive. Add the bitters and the rum. Fill the glass with ice. Give a quick stir before topping off the glass with the Coke. Give another quick stir. Serve. Oh, this is not bad. This is as refined as a Cuba Libre can get, I think. The key lime (which is more tart and bitter than the familiar Persian kind) works with the aromatic bitters and with the Mexican Coke (sweetened with cane sugar instead of high-fructose corn syrup) to give the drink a semblance of complexity. Why, this is almost a proper cocktail! Where did the Cuba Libre come from? An island country south of Florida, of course. 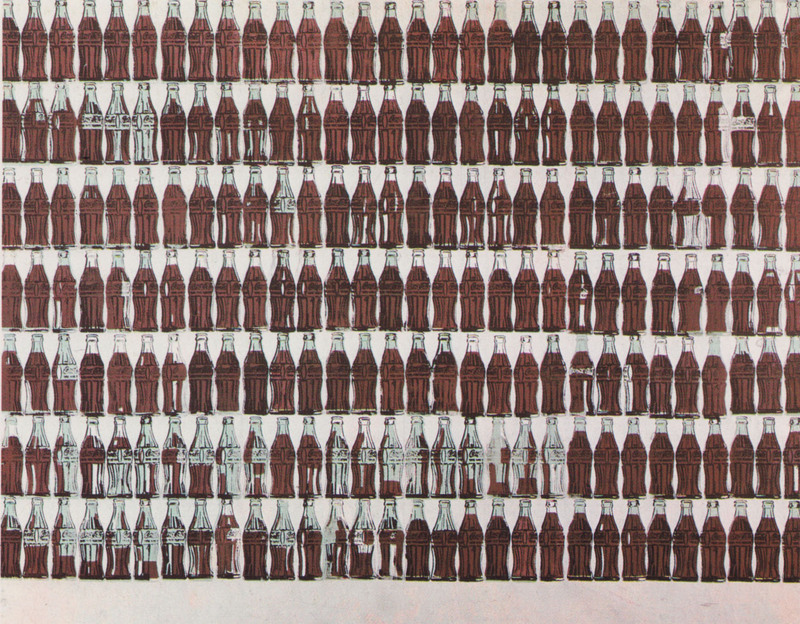 The most credible story of its invention dates to August 1900—two years after the Spanish-American War freed Cuba from Spanish reign, 14 years after a Georgia druggist named John Pemberton developed Coca-Cola as a nonalcoholic version of coca wine, 38 years after brothers Facundo and José Bacardi bought a distillery in Santiago de Cuba. The story—described in a sworn affidavit featured in a vintage Bacardi ad—has it that a U.S. military man ordered one in a bar and that other patrons followed suit. However, a current Bacardi ad campaign implies that the drink came into being after one of Teddy Roosevelt’s most rugged Rough Riders attempted to chat up a surly-eyed, fine-cheekboned gal in a peasant skirt. Read more about this campaign in Advertising Age, which notes that “rum ads have lately been turning toward historical figures.” Ad Age cites as further examples Captain Morgan and also Sailor Jerry, which you may add to a tall glass, with cola and stout, to make a Shave and a Haircut. Down on the bottom shelf of your local liquor store—possibly on the far side of a pane of bulletproof glass—you may also notice Admiral Nelson’s Spiced Rum, which you may add to your gas tank as a corrosion inhibitor. 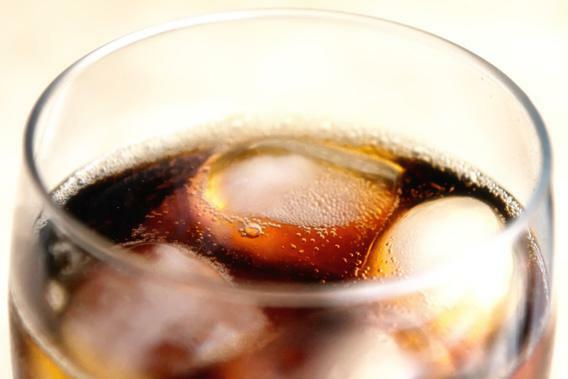 The rum and Coke is the West Indian equivalent of the gin and tonic—a highball symbolic of empire. Rum, a liquor essential to the geometry of the Atlantic slave trade, met Coke, the consummate quaff of American capitalism. (Think of Cocacolonization and Godard’s “Children of Marx and Coca-Cola.” Remember Andy Warhol’s silkscreens and his philosophy of soda-populism: “A Coke is a Coke and no amount of money can get you a better Coke than the one the bum on the corner is drinking.”) Understand that the drink became broadly popular on these shores during World War II; with domestic distilleries aiding the war effort, rum consumption increased 400 percent, and with Coca-Cola exempt from sugar rationing, well, there you had it. Consider, also, the story of “Rum and Coca-Cola,” a Trinidadian calypso song written about U.S. soldiers “debauching local women” and, implicitly, also about the military-industrial complex they rode in on. Morey Amsterdam ripped off the original and reworked it for the Andrews Sisters, whose version became the second-biggest record of the 1940’s (after “White Christmas”). Now that’s what I call cultural appropriation. What’s the best way to wash the taste of it from one’s mouth? I have three ideas. The first is to reach back in history and up to New England. Until the 1920s, when Coca-Cola usurped its position, the most popular soft drink in the U.S. was Moxie, an enduring cult favorite on account of its sarsaparilla bitterness and medicinal tang. The bottlers offer some worthy suggestions on the “Moxology” page of their official website, but trial and error have led me to a superior cocktail application. Like I said, I’m in a jam here: Plop half an ounce of Moxie jelly (ingredients: Moxie soda, sugar, pectin) into a mixing glass. Add a few dashes of your preferred bitters to deepen its flavor. Add a few ounces of your preferred rum and stir to dissolve the jelly. Add a lot of cracked ice and keep stirring. Strain into an old-fashioned glass over ice, add an orange twist, take a sip, and pour it all down the sink, probably, unless you share this writer’s taste for radical rootiness. The second notion is a crowd-pleaser from The PDT Cocktail Book—the Cinema Highball, a rum and Coke made with buttered-popcorn-infused rum. I directed my editor to don her lab coat and get to fat washing, with the aim of delivering a batch of this infused rum. She delivered a bit less than half a batch, along with an account of certain discoveries made at dinner the night before: The popcorn flavor really comes through. The squeeze of lime recommended in the original recipe clashes with the butter. The stuff doesn’t really complement tempeh tacos. But if you get cracking on your infusion on Saturday, it will be ready to complement the dogs and burgers coming off the Labor Day grill. The third idea is the most interesting and the most hopeless—an as-yet-uninvented drink currently named the Quixotic Exotic Coke. For a year or so, I have been sporadically attempting to invent a rum and Coke that has no Coke in it. The idea is to replicate the taste of Coca-Cola by finding the ideal flavor balance of liquors and liqueurs. I’ve tried this using Ramazzotti as the base, Galliano and Licor 43 to capture Coke’s note of vanilla, dashes and one-eighth-ounces of Bénédictine and green Chartreuse to duplicate nuances of sweetness and spice, figuring out which sparkling water (Perrier) best replicates the charge of Coke’s distinctive fizz, and so on. I’ve had no success with this, despite consulting professional bartenders—a few of whom, I discovered, had independently developed the same hobby of tinkering toward a boozy imitation of the inimitable. It’s not terribly difficult to come up with a formula for something that tastes like RC Cola, or something that is, on its merits, better than Coke, but it is impossible to fake the Real Thing.